Are you ready to make a difference? Are you passionate about improving the emotional health and wellbeing of children? If you answered, “Yes!” Then this workbook is for you. For reviews of this product, click here. Despite your good intentions, do you sometimes feel like you’re running up a down escalator? Or do you spend weeks doing some great work with kids only to feel like you’re back at square one? Welcome to the club! I often feel like this. It can be really frustrating. I know I make a real difference to children and just like you; I’m good at what I do. But sometimes I find it a struggle to make those positive changes stick. 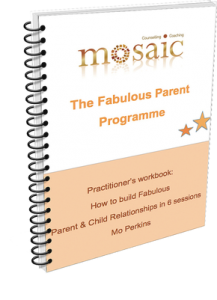 The Fabulous Parent Programme: Practitioner’s Workbook is definitely for YOU. 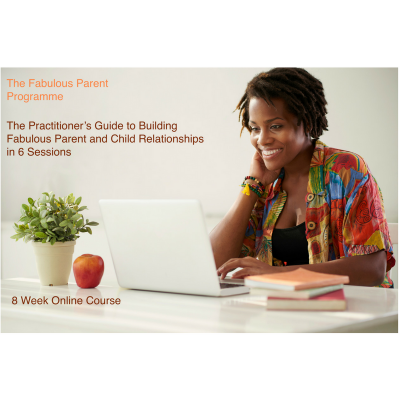 This programme guides counsellors, coaches and other professionals through a coaching programme for parents. 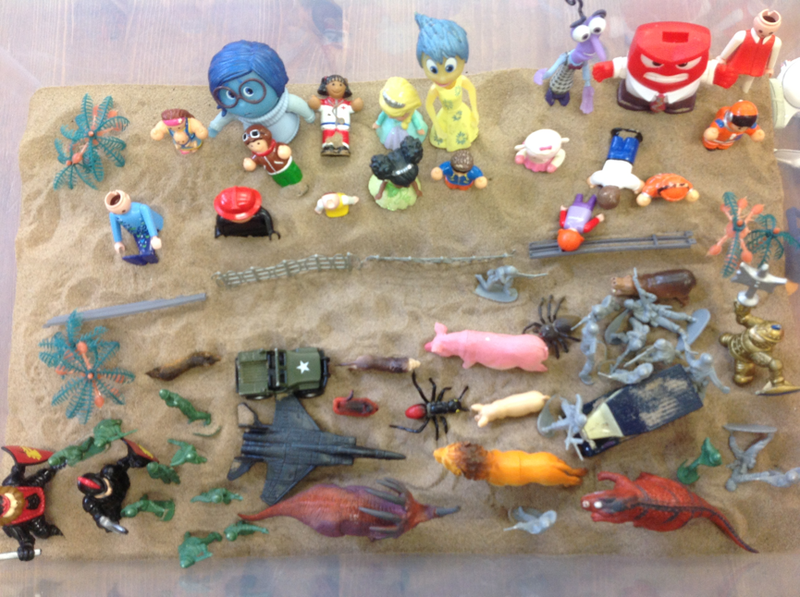 Parents are guided to conduct a 30 minutes therapeutic play session with their child once a week. They will be taught the basic skills used by play therapists and this will develop a quality of interaction between the parent and child that will build a fabulous relationship. Parents also learn about themselves. They’re encouraged to identify their strengths and meet their own needs and are supported to grow and develop all the way. 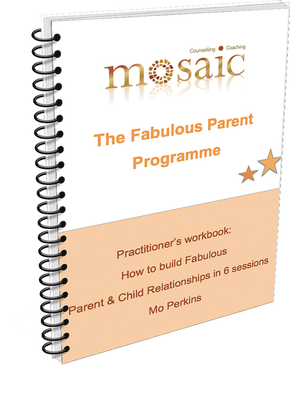 How will the Fab Parent Programme benefit you? 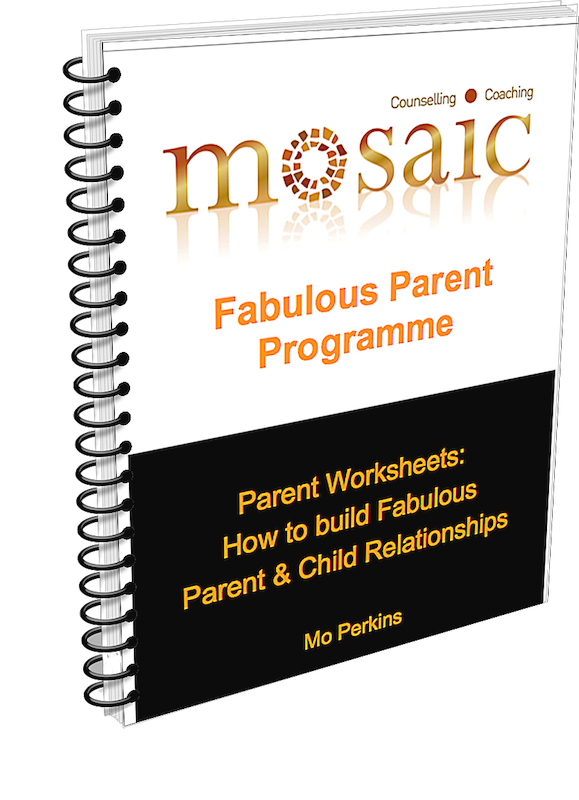 How will the Fab Parent Programme benefit Parents and Kids? When children feel heard and understood on a deeper level their confidence and self-esteem grows. Challenging behaviour is reduced and children learn more self-control. Parents feel empowered to play a part in developing the emotional health and wellbeing of their child and at the same time their self worth as a parent improves. Their understanding of their child will grow and the bond between them will become even stronger. Additionally, parents are learning skills for life that can be used with other children within their family. 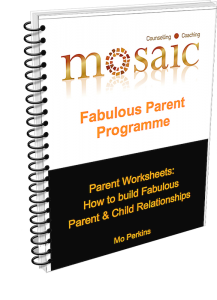 How does the Fab Parent Programme work? 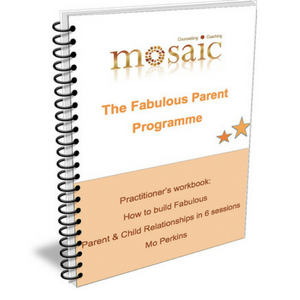 Download the Fabulous Parent Programme – Practitioner’s Workbook Today.